I answered on github. No need to ask for help here. I’m already notified when someone open an issue on github. A new version has been released for Mirage, it is available for download here. It didn’t work with spongevanilla-1.12.2-7.1.0-BETA-64. Upgrading to spongevanilla-1.12.2-7.1.4 fixed that. I forgot to mention that the new version require SpongeAPI 7.1.0 and so SpongeForge/Vanilla 7.1.2 or +. Could this crash be related to the plugin? Don’t wanna open a ticket cuz I’m not sure. This crash was caused by version 1.3.3, it has been fixed, you should use the latest version of Mirage (1.3.6 currently). Hey, passive mobs stop moving around as soon as I add Mirage to my SpongeForge server. I’m on the latest SpongeForge version, any idea on how I could fix that ? To help you I need your logs (use a service such as pastebin to host them) and either a Timings report or Spark report. I’ll try to get you a Timings/Spark report asap. P.S : Do you have a Discord account ? Would be easier to talk through it. Sorry for the delay, I’m very busy these days. An issue has been opened, I’m investigating on it. I invite you to follow it, it’s also the best place if you want to talk about it. When running SpongeForge 2768-7.1.4 and Forge 2768 with no mods/plugins except Mirage, running all default configs, no passive mobs move. 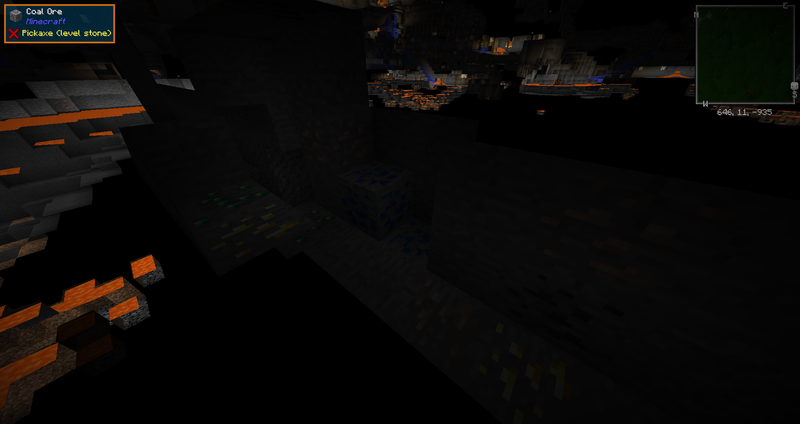 It’s normal for the ores next to a block of air to be visible if you are close enough. Otherwise, normal players would not be able to see any ore. Are these ores still visible if you go backward enough ? Thanks for the fast response. I’m not sure if I’m reading your message wrong or I didnt explain right. The ore blocks in the screenshot I posted are all fake ores. When the player mines them they disappear and turn to stone. I didn’t test the walk backward thing. But I will keep that in mind if that happens again.